Illustrate your ideas, projects, plans and everything else you can imagine using this intuitive app. 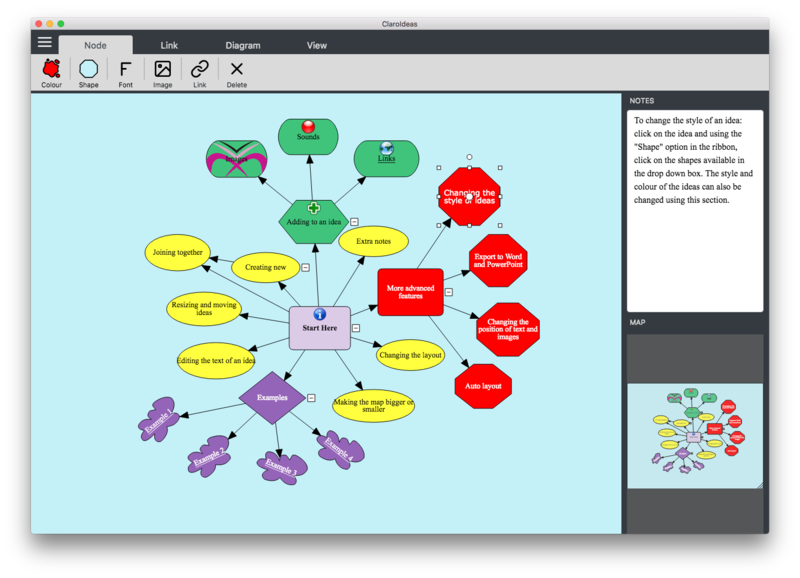 Draw and connect ideas, add titles, hyperlinks, images and notes and personalise your ideas. You can download ClaroIdeas for Mac with a Cloud account if you have ClaroRead for Mac activated. If you are interested in opening a Cloud account, please see ClaroRead Cloud or Contact us for further information. What’s new in the latest ClaroIdeas for Mac.